If you’re looking for hair restoration, we are the premier provider of medically-backed hair restoration treatments in Australia. Our techniques are scientifically-tested and proven to work. We don’t just seek to restore hair by replacing it; we also seek to treat the root cause and create the scalp and follicle health you need to regrow and restore your own hair. Strand-by-Strand®: This method restores your hair strand by strand. This gives you a natural-looking restoration because each new strand is matched perfectly to the strand next to it. Laser Therapy: Our Laser Therapy can help to restore your hair by getting your scalp in the right condition to start growing hair again. We do this by combining sophisticated laser technology, scalp and hair treatment and FDA-approved pharmaceuticals. Advanced Hair Fibres: If you’re thinning on top, you can get an instant hair restoration simply by brushing through our Keratin Thickening Fibres. The fibres form a strong bond with your hair to make it thicker, and the bond is so thick that you don’t have to worry about wind disturbing the look. Advanced Singular Hair Grafting: Our Hair Grafting restores your hairline, without anyone knowing you’ve had surgery. There’s nothing worse than a visible restoration, so we’ve created a surgery option that looks entirely natural. Stem Cell Hair Technology Factors: This program delivers the highest concentration of active cell signal proteins on the market. 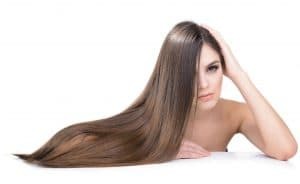 The program also: unblocks the follicle entrance, reduces excessive oil, kills bacteria caused by dandruff and inflammation, and increases nutrients to the scalp and restores the appearance of hair colour. Advanced Laser Therapy: Our Advanced Laser Therapy for women has a 90% success rate, and it works in the same way as our male treatment. It encourages a healthy scalp and creates the perfect environment for hair growth. Strand-by-Strand®: This is our premier hair restoration solution. It gives women the ability to enjoy all the favourite styles and wear them with confidence because it restores hair strand by strand and looks natural from every angle. FlashPoints®: Hair extensions are a contentious form of hair restoration because they can look terrible. You don’t have to worry about that with our FlashPoints® extensions. They don’t require any wax, glue or weaving so you won’t have to worry about damaging your other hair, and they’re reusable! Hair and Scalp Fitness Range: The hormone, DHT is responsible for shutting off the signals that force follicles to grow hair. Serenoa blocks the production of this hormone, so your follicles will continue to grow hair and offset the loss. We include Serenoa in our hair and scalp fitness product, and the range is topped off by an Advanced Laser Helmet and an AHS-FP Antioxidant. Stem Cell Hair Technology Factors: Our ‘Growth Factors’ lock into your follicles to reactivate any dormant follicles, expel any blocking oils and create an environment for hair to push through and grow again.